At this step of the wizard. 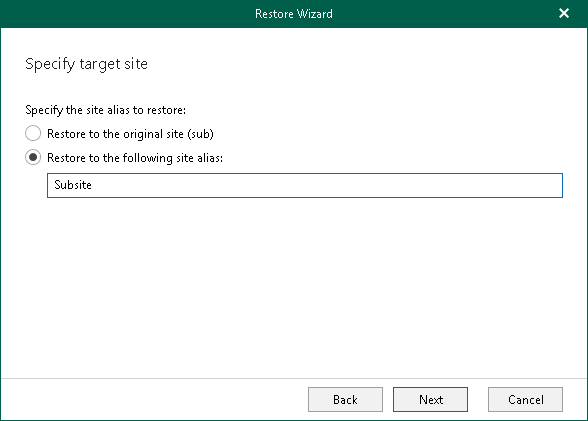 specify whether to restore a site back to the original location or choose site alias you want to use. This step is only available when restoring from backups created by Veeam Backup for Microsoft Office 365. This step is unavailable when restoring Site Collections. Restore to the original site. To restore data back to the original site. Restore to the following site alias. To restore data to a custom site using alias. If the provided site does not exist, it will be created automatically.